A sales staff member at Delta's Tokyo office gave me a link to the virtual tour inside the 747-400 with their latest interior. Walking up to upper deck of the 747 is always fun. Narita T1 as usual. The 767 as usual. But this ship is not that usual. The ship N16065 named after Andrew Young who is former US's ambassador to the UN, civil rights legend, and former mayor of Delta's home, Atlanta. Gray afternoon. 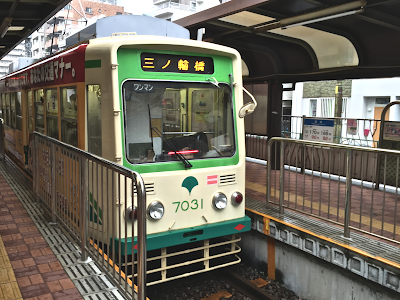 Passing through the east end of Tokyo. Flying low is sometimes better than flying high. Once there was air travel like this. An official film by Air France shot in 1957. JASDF means the Japan Air Self-Defence Force. And these luggage tags are for passengers. That means these are for this plane. This is one of the most valuable items in my aviation museum. The world's largest king salmon. I wanna try it as sashimi. From my aviation museum. 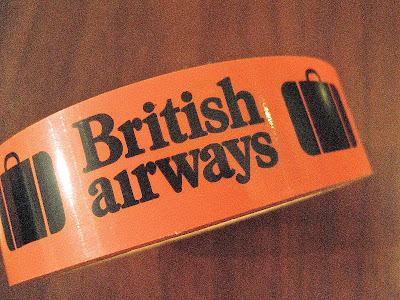 BA's checked baggage tape with the original 1973-1984 logo. Before this, there were BOAC and BEA. 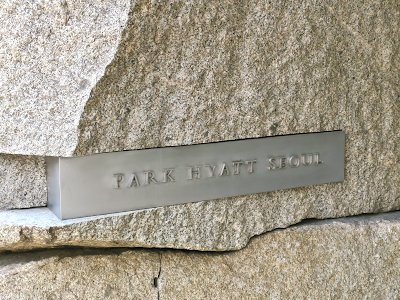 This font reminds me of older signage at Heathrow. Note the missing dot on the third "i". The light I saw today. Asiana's new promotion movie featuring World Order. Mr. Genki Sudo who leads this dance group used to appear in Google Japan's campaign video I worked on when I was at WKT. Quick dinner at Brasserie Paul Bocuse Le Musée in The National Art Center, Tokyo. 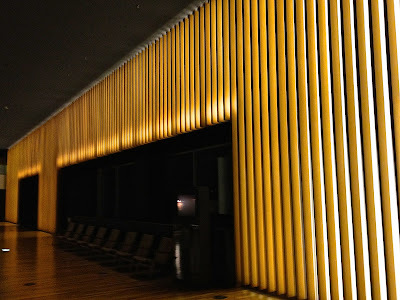 The restaurant itself is something like a cafeteria, but the tranquility of the museum's after-hours is a bonus. Dinner at my favorite bistro in Aoyama. Wonderful hospitality of staff is one of the key ingredients here. An exhibition showing works of Art Director and my ex-colleague at WKT Koichi Inoue (Ko-chan) has started today at the museum of his alma mater Kyushu Sangyo University in Fukuoka. He says some of Nike works we created together at WKT are also on display there. 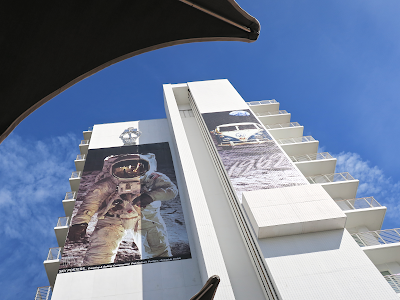 Don't miss it if you are in Fukuoka. A recent addition to the sticker department of my aviation museum. 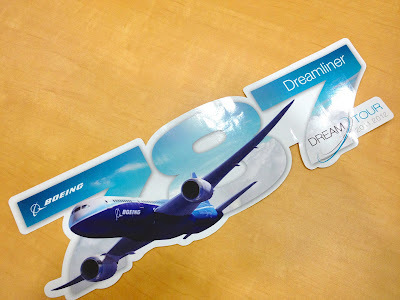 My colleague gave me this big sticker of Boeing 787 Dreamliner Dream Tour 2011/2012. Dream on. Ishinomaki 2.0, the grassroots community-building project I am supporting, its free paper Ishinomaki Voice, and its partner project Ishinomaki Laboratory. 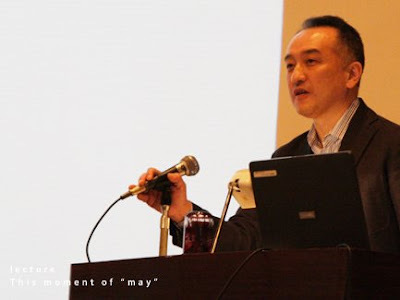 All 3 projects in tsunami-affected Ishinomaki City won Best100 of 2012 Good Design Award of Japan at the same time. This "triple crown" is a phenomenal achievement and can bring a great tailwind for each project and the future of the city. Congratulations, team!